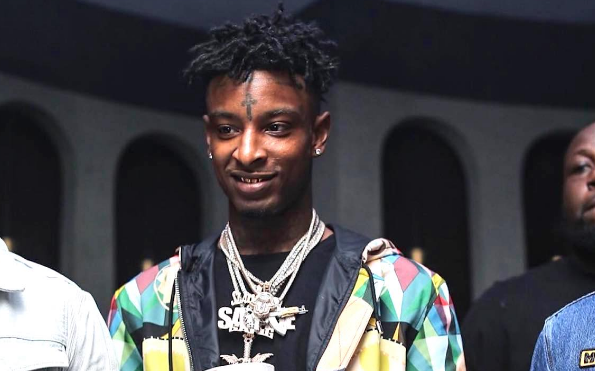 21 Savage, the British-born rapper who was arrested by immigration officials on Super Bowl Sunday, was released on bond Tuesday afternoon after spending nine days in ICE custody, according to a statement from his attorney’s office. The rapper, known legally as She-yaa Bin Abraham-Joseph, entered the United States illegally in 2005 and stayed in the country after his nonimmigrant visa expired a year later, according to ICE officials. He was convicted of federal drug charges in 2014, which ICE cited as part of his arrest. On Tuesday afternoon, 21 Savage’s legal team said in a statement that the rapper had been released from custody on bail and was being placed into expedited deportation proceedings. Unauthorized immigrants are only eligible for release on bond if they’re determined not to be a flight risk or not a danger to their community.